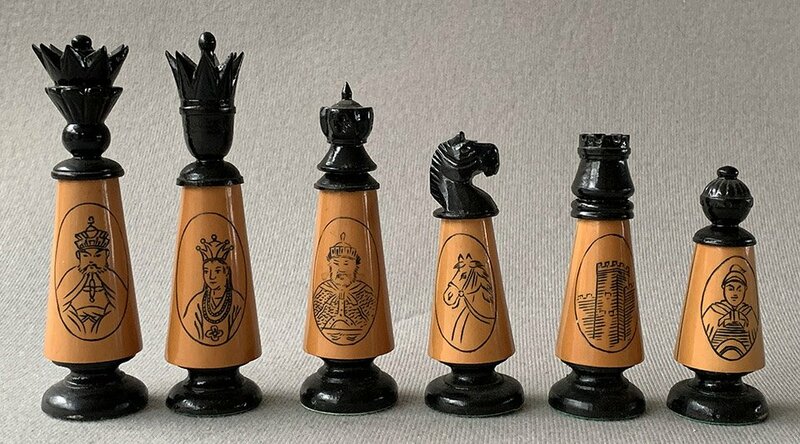 A set of Chinese Upright Chessmen, crafted from Boxwood and lacquered black and ivory. 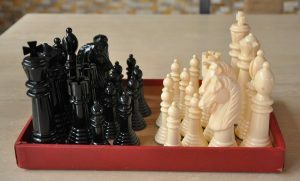 A very unique feature of these chess pieces is the natural wooden bodies which are imprinted with representative characters. 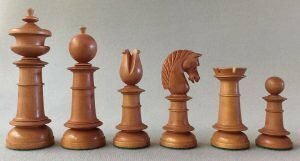 The King stands an impressive 4-5/8″ tall with a 1-1/4″ diameter base. 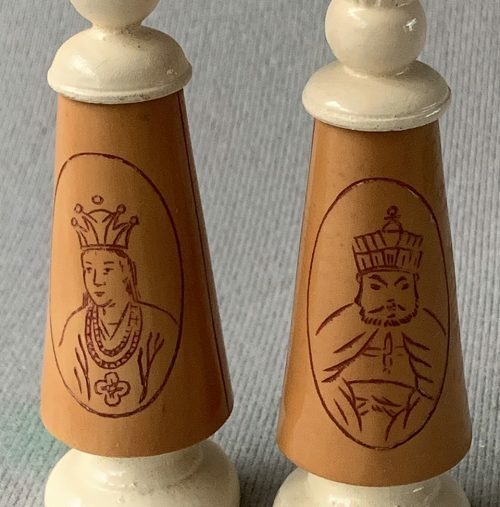 The chessmen are unweighted and rest atop green self-adhesive pads. 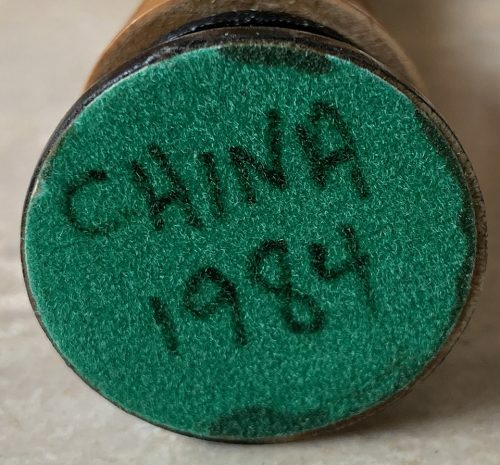 The words “China 1984” are printed on the base of the Black King. 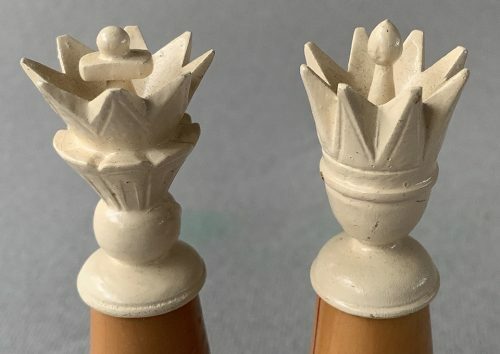 A close up image shows the King’s cross and Queen’s ball finials. These sets were produced in the late 1970s. 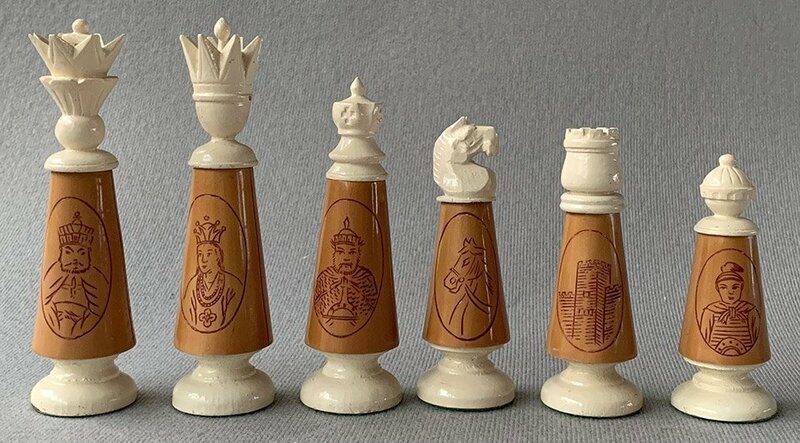 The chessmen are like new and are housed in a replacement box. The Anri chessboard shown in the image is not included in this offering, but can be purchased separately elsewhere on this website. 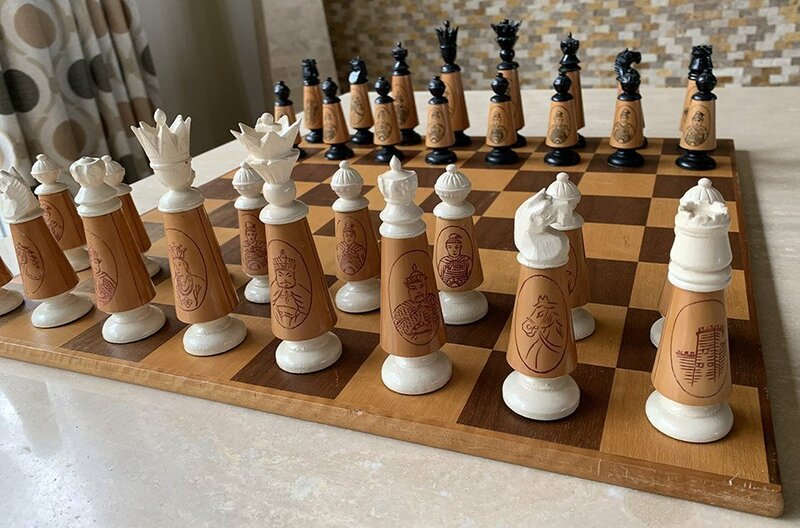 For a more complete listing of our modern and antique chessboards, follow this link.